Up for grabs today are two Boellis creams that don't see much action. One is a backup and the other is not the wife's favorite. Almost impossible to get on this side of the Atlantic Ocean. I paid 29 euros each plus 14 euros shipping à year ago. Boellis Crema de Barba Condotti, 70% left. $23 CONUS shipped. 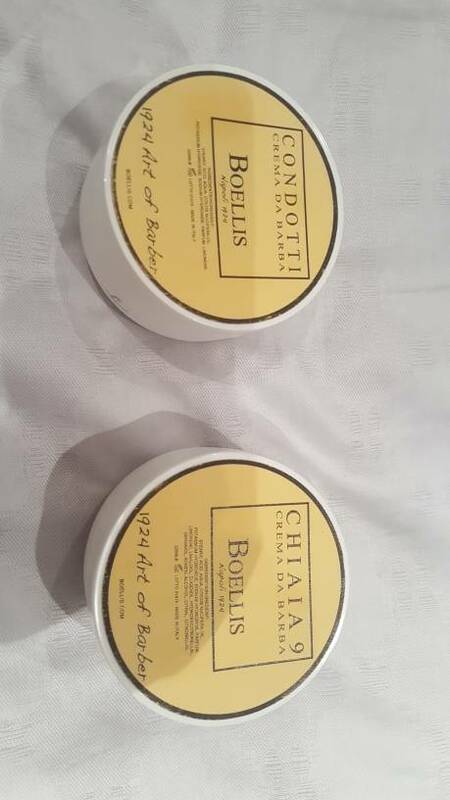 Boellis Crema de Barba Chiaia 9, 85% left. $25 CONUS shipped. Take both for $44 CONUS shipped. Both creams come with original box/packaging (not pictured).